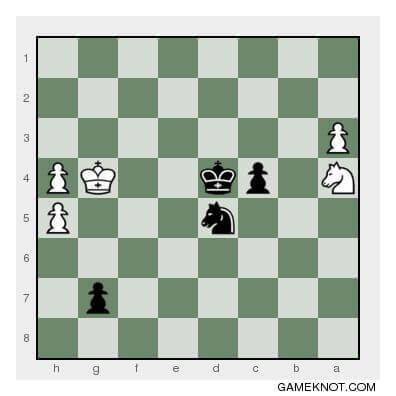 If you are playing chess as Black, one solid way to respond if White opens with 1.e5 is 1…e6, the French Defence. 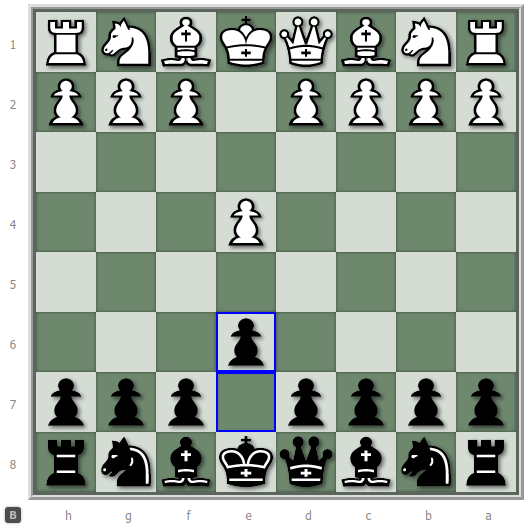 Black announces his intention of playing … PQ4 [d4], which White can hardly prevent. The key tip in today’s blog post assumes a more classical development in the next two moves in the French Defence and looks at what to do if White develops his Bishop to g5 in the fourth move. 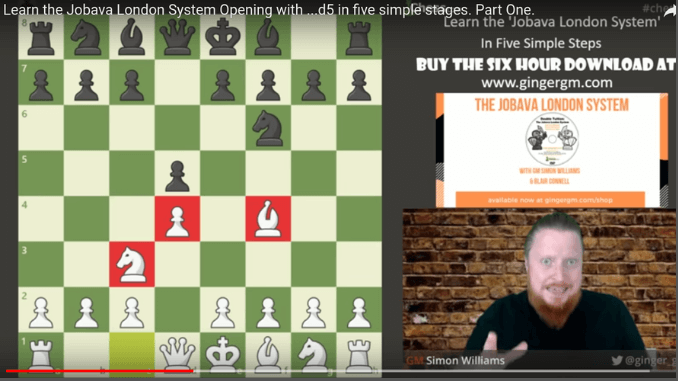 Simon Williams, aka “The Ginger GM,” has just published couple of videos and a 6-hour DVD about the Jobava London opening. It’s a relatively easy chess opening to learn as the White player because you almost always make the same two or three opening moves. That makes life a bit less complicated than is the case with other opening systems, which is why it might be the best chess opening for beginners playing white. You may not have heard of the “Jobava London” opening, and that would be no surprise. The name for the opening has only just been coined by the Ginger GM himself for his new DVD about the opening. It’s an opening which I’ve been very interested in for the last five years since I saw some top games by Baadur Jobava. He used this opening to beat some of the best players in the world. … I coined the name because I thought it should be named after the man himself because he’s the world’s leading practitioner. In this video I take you through some chess opening moves White can play when Black responds with the Marshall Defence. Black now moves his g8 Knight to f6. When that happens, what should White do? 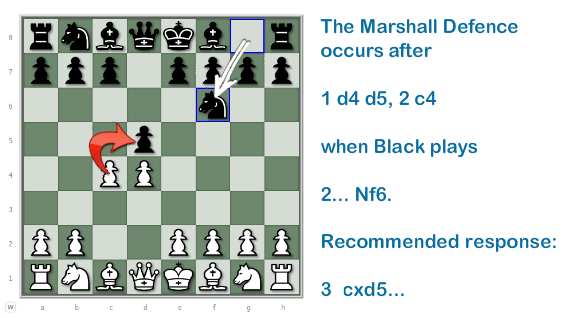 On page 42 of A Strategic Chess Opening Repertoire for White John Watson recommends, 3. cxd5, the most common line against the Marshall Defence. 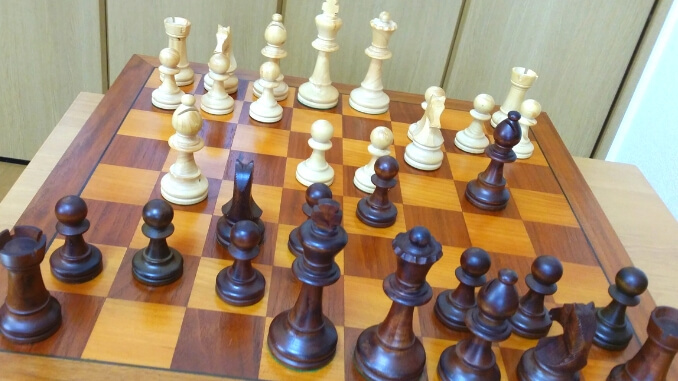 Actually, most of the theory behind this chess opening moves video training and blog post is taken from A Strategic Chess Repertoire for White – it’s an excellent guide to anybody who favours the Queen’s Pawn openings and is available on Amazon: https://amzn.to/2LPDCaf . After 3. cxd5 Black has several options but I confine the video and this blog post to just ONE response, 3… Nxd5. 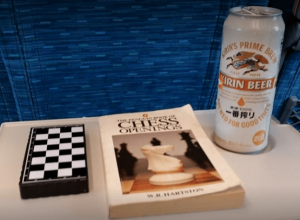 Finding the best starting moves in chess with W. R. Hartston’s Chess Openings & a can of Kirin Ichiban Shibori beer. 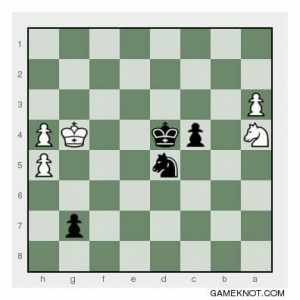 In searching for the best starting moves in chess, White is confronted with twenty possible first moves. White may move any one of his eight pawns one or two spaces forward. White may also move either of his knights onto the third row, to a3, c3, f3 or h3. Of those twenty possibilities, the best starting moves in chess are those that attack the centre or help development. 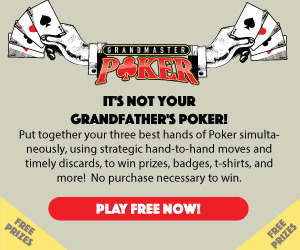 So forget about starting with your flanking pawns. Also, do not start by moving one of your knights to the edge of the board. There are two options that most people agree are the best starting moves in chess. They are 1.e4 and 1.d4. That is, White begins by moving either the king’s pawn or the queen’s pawn two spaces forward. In either case, white is attacking the centre and preparing to develop his pieces. The starting moves, 1.e4 and 1.d4 dominate opening theory. The Penguin Book of Chess Openings devotes 209 of the 252 pages of the book to those starting moves.